IBC Bank was founded in 1966 and since then has been providing great banking services. In 2014 the bank was among the top “100 Most trustworthy Financial Companies” on Forbes magazine. A routing number identifies a financial institution based on location in transactions in the United States. The main routing number for IBC Bank is 114902612. Below are the other routing numbers for IBC Bank based on member banks. You can find your routing number at the bottom of your checks. 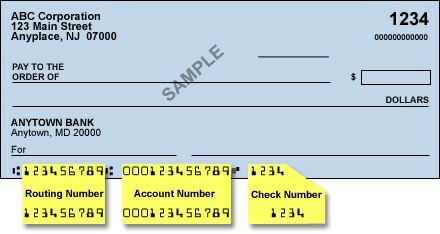 The sample check below will help you find your IBC Bank routing number on your check. Wire Transfer Service in IBC Bank enables customers initiate payments fast and easily. Wire Transfer is the fastest way of moving funds between financial institutions and is ideal for making large-dollar transactions. Once the funds are transferred, they are available immediately, offering you the capability to precisely project receipt and disbursement. Wire transfers come at a fee in IBC Bank. To initiate a domestic wire transfer into your IBC Bank, you must supply the sender with your details. This is the required information by the sender. For you to receive an international wire transfer in your IBC Bank, you must provide the following necessary information to the sending financial institution. IBC Bank charges its customers a fee for each outgoing and incoming wire transfer. Here is the comprehensive fee break down for each wire transfer. International Wire Transfers – $25 for each incoming transaction and $35 for each outgoing transaction to a Business customer or $60 for each outgoing transaction to a Consumer customer. Domestic Wire Transfers – $0 for each incoming transaction and $15 for each outgoing transaction.